Ri4Power system based on Rittal’s VX25 enclosure | Rittal - The System. 2019-04-02. At this year’s Hanover trade fair (Hannover Messe), Rittal is unveiling its new Ri4Power, based on the new VX25 enclosure. This delivers even greater efficiency for panel builders and switchgear manufacturers for electrical power distribution in industrial environments. The Ri4Power also offers further advantages, such as higher current ratings and easier monitoring and maintenance. Moreover, solutions based on this system have been tested and certified to IEC 61439. According to manufacturers’ association ZVEI, automation (including electrical drives and switchgear) was the fastest-growing segment of the German electrical and electronics industry in the last two years. This is being driven by both a boom in mechanical and plant engineering, and by the deployment of more and increasingly powerful drive technologies. 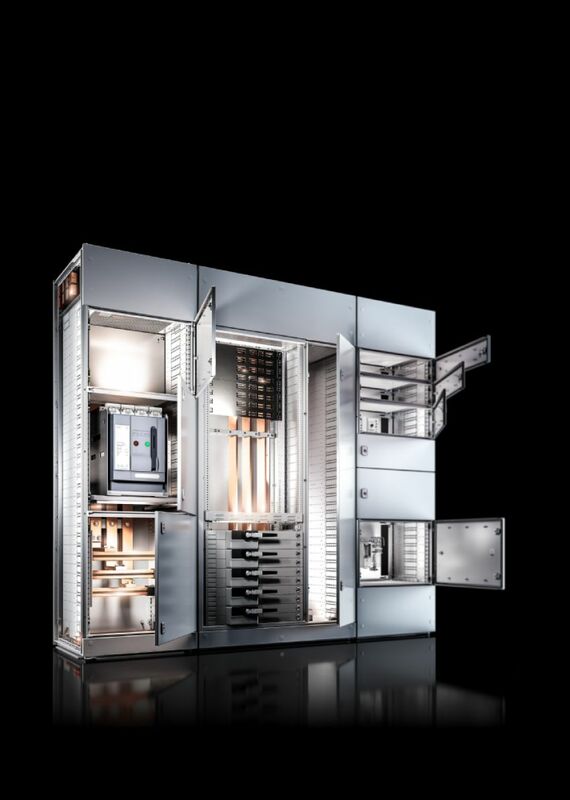 Switchgear for electrical power distribution must therefore evolve to meet ever-higher demands – including higher current ratings, in conjunction with compact dimensions. Rittal’s new Ri4Power, based on its VX25 enclosure, is the ideal response to these challenges. In contrast to its predecessor, the copper busbars have a smaller cross-section, allowing a higher rated current of up to 6,300 A. As copper is expensive, the busbars’ smaller cross-section immediately cuts overall cost. The Ri4Power’s streamlined dimensions enable a higher current – depending on the exact version, up to 6,300 A is possible, with short-circuit protection up to 100 kA. Flat bars are employed for the various busbar configurations, with a maximum of four bars per phase. The busbar supports were developed with reduced complexity front of mind. As a result, the same support is suitable for both 600 mm deep and 800 mm deep enclosures. Their symmetrical shape means supports can be used left or right. Installation has also been simplified: the busbar support can be fastened to the VX25 profile with three screws – without the need for additional materials. The new Ri4Power system is based on the VX25, so manufacturers enjoy all the advantages of this enclosure system, including its symmetrical form, highly standardised pitch pattern, reduced number and type of parts, and ease of component installation. Consequently, components can, for example, be mounted on either horizontal or vertical profiles of the VX25 frame, reducing the total quantity of profiles required. Furthermore, there is a special compartment side panel available for the Ri4Power that can be positioned in either the left or right of the enclosure. This divides the solution into separate compartment according to function, e.g. to create a cable chamber or space for additional components. The compartment side panel has knockouts every 50 mm; these have rounded edges to prevent damage to cables. In the upper part of the enclosure, there is a separate section for the installation of further components, accessible via a flap or panel. 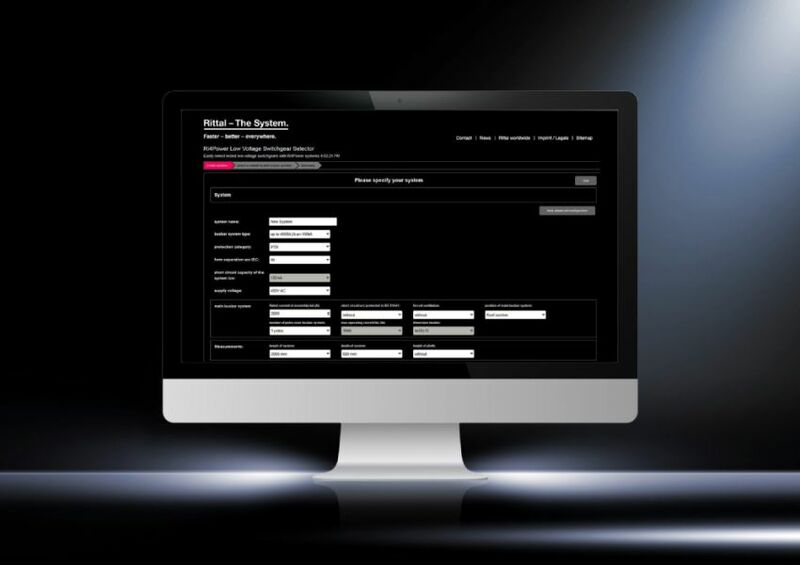 Rittal has rolled out a new version of its Power Engineering (RPE) software to coincide with the launch of the VX25 Ri4Power system. This solution makes planning and configuring switchgear fast and simple. Usability was a key focus during the development of the latest version. It is highly intuitive, and requires the input of only a few parameters. This enables manufacturers, even those with no previous experience, to simply and reliably configure type-tested switchgear Furthermore, interfaces for EPLAN Electric P8, for export of bills of materials to MS Excel, and for import and export for data maintenance are possible. The VX25 Ri4Power system offers a number of advantages in the context of maintenance. The new busbar supports and connectors are accessible from the front: This makes it easier to check the torque applied to screws, for instance, or to determine the temperature of contact points by means of an infrared camera. It is also possible to implement sophisticated monitoring mechanisms: an IoT interface can be installed that interoperates with sensors, e.g. for monitoring temperature, moisture or performance. In combination with a backend production control system, this allows the operator to monitor their equipment at all times, and enjoy higher power-supply availability.